Girls Like Comics Too t-shirts are now available from Comic Book School. These limited-edition black shirts were launched on Kickstarter. These awesome shirts won’t last long, so hurry and get yours now. We are the exclusive manufacturer, distributor, and seller of these shirts. 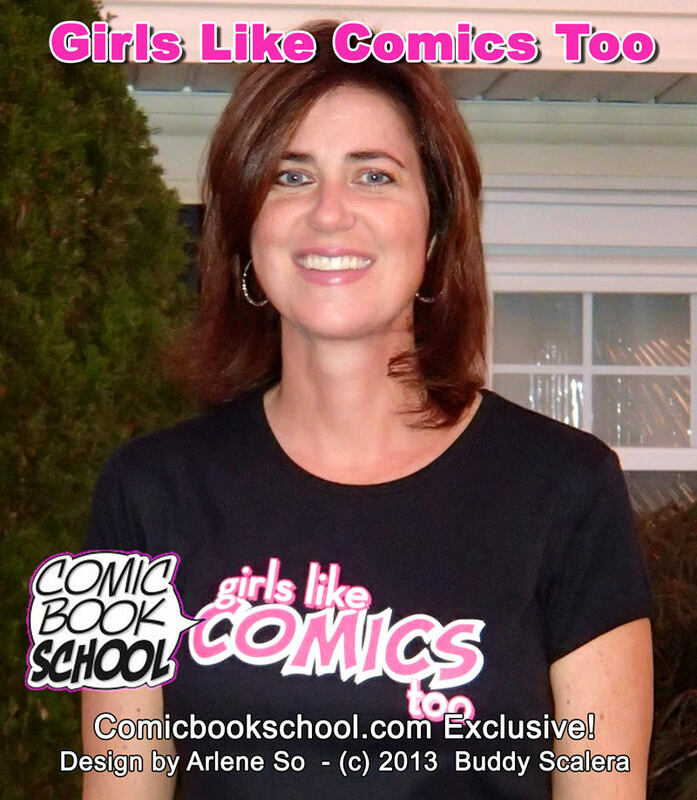 The “Girls Like Comics Too” logo was designed by Arlene So and is (c) 2013 Buddy Scalera. Girls Like Comics Too t-shirts are $20 + $5 shipping (USA only). Available for purchase using PayPal, but additional shopping options coming soon. Sizes include: Small, Medium, Large, and XL. Please note your size(s) when you order. This t-shirt design is available exclusively on ComicBookSchool.com. #girlslikecomicstoo. Buy this shirt on eBay.